Running is a vigorous-intensity exercise. 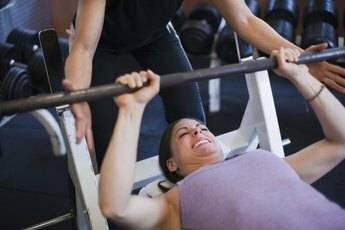 Not all exercises are equal -- and the Weight Watcher's program takes this into account. If you follow their program, you'll track your exercise and food intake using a super simple points system. This means there'll be no fussing around with calorie counts, you just need to track your food and activity points. To count your activity points you'll need to know the intensity of your exercise. That's easy enough to figure out using your heart rate or just by judging your perceived exertion. Your heart doesn't lie -- at least not when it comes to exercise intensity. Weight Watchers defines vigorous exercise as anything that will raise your heart rate above 70 percent of your maximum. Use an easy little formula to estimate your maximum heart rate: just subtract your age from 220. For instance, if you're 30 years old then your maximum heart rate is 190. Any exercise that raises your heart rate above 133 beats per minute -- 70 percent of 190 -- would be considered vigorous in this example. Your heart rate's an accurate measure of your intensity, but sometimes it's just easier to rely on how you're feeling.This assessment is known as a rating of perceived exertion. 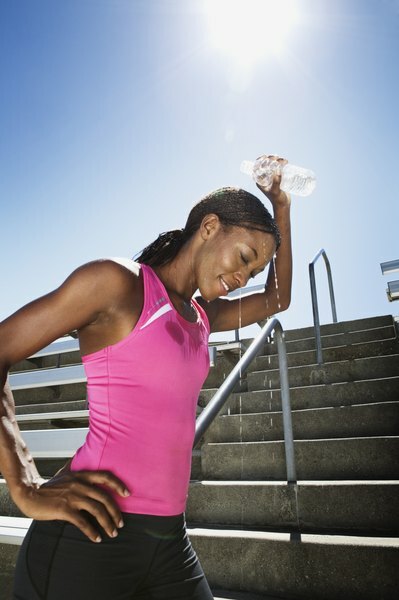 If your workout causes you to sweat after three to five minutes, then you know you're doing vigorous exercise. You should be breathing quickly during vigorous exercise. If you're chatting with your girlfriends while exercising, you should still be able to speak, but only in short phrases. 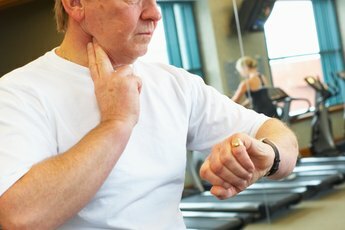 Be honest with yourself about your efforts; Weight Watchers warns that previously inactive people may overestimate their efforts when using this assessment. If you're looking for vigorous exercise options, you'll find plenty of choices. Typical activities that will raise your heart rate to a vigorous level include riding a bike at a speed of 14 to 16 mph and jogging at a speed of 6 mph. If you're the sporty type, basketball, soccer or singles tennis are also likely to get your heart rate up to the vigorous level. If you're not a fan of typical workouts, know that everyday tasks like carrying a heavy load or shoveling can also be considered vigorous exercise. Exercise does the body good, but only if you get enough of it. Weight Watchers doesn't provide its own specific exercise goals. It does, however, recommend following the guidelines established by the Dietary Guidelines for Americans and the American College of Sports Medicine. The Dietary Guidelines for Americans recommends that people get 60 minutes of moderate- to vigorous-intensity exercise each day. Similarly, the ACSM recommends that you get 30 to 45 minutes of vigorous-intensity aerobic exercise at least three times per week. Can You Lose Weight by Just Exercise Alone?